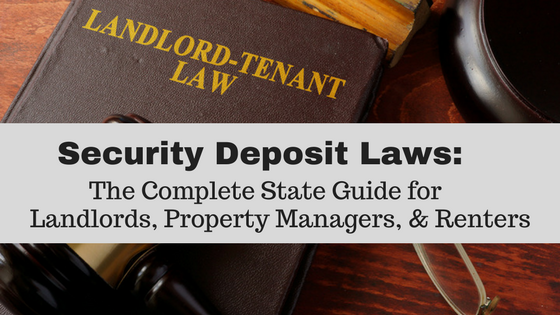 A complete state-by-state guide for landlords, property managers, and renters on security deposit laws for maximum limits and deadlines for refunding the funds to a tenant. The number of days a landlord/property manager has to return deposit fund or accounting paper if any deductions were made. If the state requires a landlord/property owner to pay a tenant interest earned on security deposit funds. Maximum amount of Security Deposit. State statutes issue laws about much a landlord is allowed to collect for a security deposit. Some states have no limit, while others only allow a landlord to collect an amount equal to one month’s rent. Number of Days to Return the Remaining Deposit Funds or Accounting Paperwork. Each state establishes a different timeline in which a landlord must return the security deposit to their tenant. If a landlord does not meet this timeline, a tenant could potentially sue the landlord and keep all the of the deposit funds. Refund timing can range from 14 days (like Hawaii) to 45 days (like Indiana). Interest earned on Security Deposit Funds. Most states require that security deposit funds belong to the tenant and must be kept in a separate bank account. Some states, like Connecticut and Florida, require that a landlord pay any interest earned on the security deposit funds back to the tenant, either at the end of tenancy or annually. Check your state laws to see what your obligations are regarding interest earned on a security deposit. In some cases, landlords or property managers are eligible to keep interest. 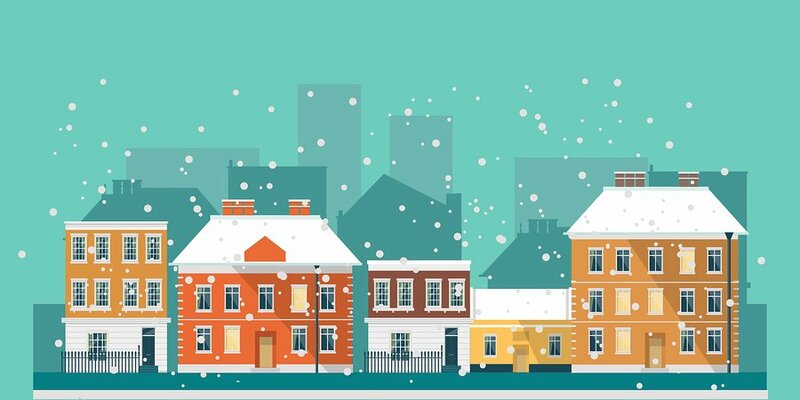 Remember that your city or county, particularly if your rental property is covered by rent control, might have different landlord-tenant and security deposit laws than those at the state level. Look for your state in the list below to discover what your state’s laws say about security deposit laws. This guide is a reference and does not count as legal advice – we always advise that you speak with a landlord-tenant attorney in your state if you need further clarification or help with a particular issue. Relevant statues and state laws were used to create this article and are provided for you in each section to reference. Maximum Security Deposit: Equivalent to 2 months’ rent, unless rent exceed $2,000 per month. (A landlord can ask of an additional pet deposit). Number of Days to Return the Remaining Deposit Funds and/or Accounting Paperwork: 14 days if the tenant gave proper notice to terminate tenancy. A landlord has 30 days to return the deposit if the tenant hasn’t given proper notice. Maximum Security Deposit: Equivalent to 2 months’ rent for unfurnished rentals or equivalent to 3 months’ rent for a furnished rental. Maximum Security Deposit: No state law. Check with your local city and county laws for maximum security deposit amounts. Number of Days to Return the Remaining Deposit Funds and/or Accounting Paperwork: One month, unless stated otherwise in the lease agreement but may not exceed 60 days. Maximum Security Deposit: Equivalent to 2 month’s rent unless the tenant is older than 62 years-old. Renters over the age of 62 years may pay a security deposit equivalent to 1 month’s rent. Number of Days to Return the Remaining Deposit Funds and/or Accounting Paperwork: Within 30 days after termination of tenancy. Interest: Connecticut landlords must pay tenant any incurred interest on the security deposit when refunding any security deposit funds after damages have been deducted. 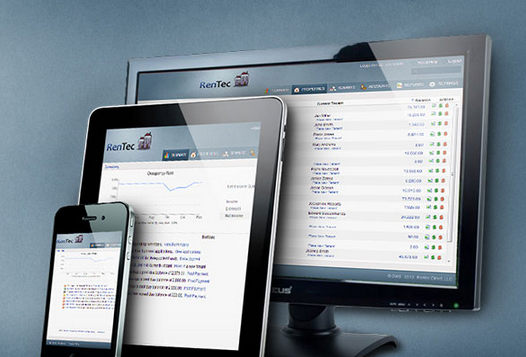 Maximum Security Deposit: One month’s rent for lease agreements for one year or more. For month-to-month agreements, there is no legal limit. Landlord’s may require an additional pet deposit. Number of Days to Return the Remaining Deposit Funds and/or Accounting Paperwork: 15 to 60 days after the keys have been returned and the property is vacated. Timeline depends on whether any deductions are intended to cover damages. Interest: Required to pay the tenant any interest earned on the security deposit (annually and at the end of the tenancy), though no interest need be paid to a tenant who wrongfully terminates the lease early. Number of Days to Return the Remaining Deposit Funds and/or Accounting Paperwork: 30 days after vacancy to the last known address via first class mail. Maximum Security Deposit: Equivalent to one’s month rent. May require an additional deposit of one month’s rent if the tenant has a pet. Nonrefundable fees are not allowed. Number of Days to Return the Remaining Deposit Funds and/or Accounting Paperwork: 30 – 45 days, depending on whether any deductions were made to cover damages and repairs. 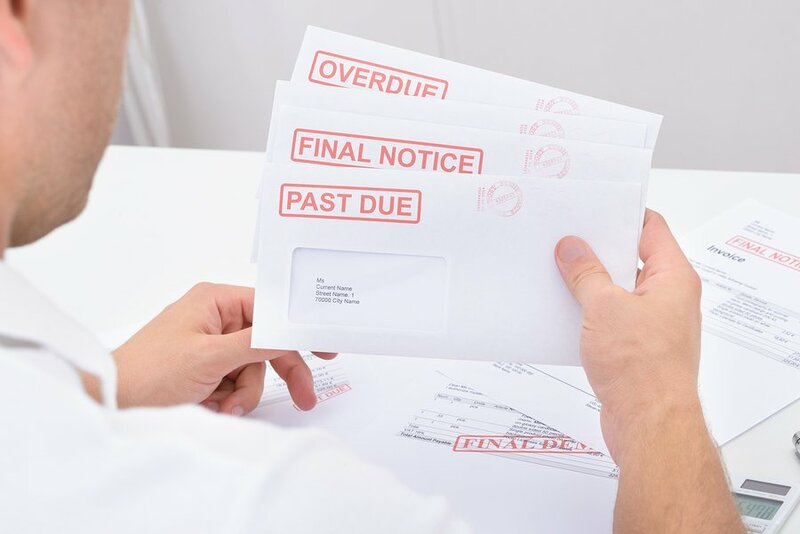 A landlord has 45 days to return a deposit in full or 30 days to return a security deposit with an itemized statement of damages along with paid receipts. Interest: State law requires your landlord to pay you interest on your security deposit if it is held for at least six months and there are at least 25 units in your building or complex. Your landlord must pay you the interest or apply the interest as a credit to your rent every 12 months. Maximum Security Deposit: Equivalent to 2 months’ rent. Maximum Security Deposit: Equivalent to one month’s rent for unfurnished rentals; one and one-half month’s rent for furnished rentals. Kansas landlords may require an additional deposit of up to one-half month’s rent for pets. Number of Days to Return the Remaining Deposit Funds and/or Accounting Paperwork: 30 to 60 days after the tenant has moved out, depending on whether the tenant disputes deductions taken out of the security deposit. Number of Days to Return the Remaining Deposit Funds and/or Accounting Paperwork: One month. Maximum Security Deposit: Equivalent to two months’ rent. Number of Days to Return the Remaining Deposit Funds and/or Accounting Paperwork: 30 days for a written or oral lease agreement or within 21 days for an at-will tenancy. Interest: Landlords in Maryland must also pay interest on security deposits of $50 or more. Maximum Security Deposit: Equivalent to month’s rent. Interest: Landlords in Massachusetts must also pay tenants 5% interest on the security deposit per year, or the amount of interest paid by the bank (the bank must be in Massachusetts). Interest should be paid yearly, and within 30 days of the termination date. Maximum Security Deposit: Equivalent to one and one-half months’ rent. Number of Days to Return the Remaining Deposit Funds and/or Accounting Paperwork: Within 3 weeks after a tenant has surrendered the property and provided the landlord with a forwarding address; but within five days if the tenant must leave due to building condemnation. Interest: Landlords in Minnesota must also pay 1% simple noncompounded interest on the security deposit per year. Number of Days to Return the Remaining Deposit Funds and/or Accounting Paperwork: 45 days. Number of Days to Return the Remaining Deposit Funds and/or Accounting Paperwork: Within 30 days or within 10 days if no deductions have been taken out. Maximum Security Deposit: Equivalent to one month’s rent; landlords may collect up to one and one-half rent for a deposit for tenants with pets. Maximum Security Deposit: Equivalent to three months’ rent. Maximum Security Deposit: Equivalent to one month’s rent or $100, whichever is greater. Number of Days to Return the Remaining Deposit Funds and/or Accounting Paperwork: 30 days; unless the landlord and tenant live together in which case other timelines apply. Interest: New Hampshire landlords must pay interest on security deposits held for a year or longer. Number of Days to Return the Remaining Deposit Funds and/or Accounting Paperwork: 30 days; unless the tenant has vacated the premises due to a fire, flood, condemnation, or evacuation, in which case the landlord must return a security deposit within 5 days. Interest: Landlords in New Jersey must pay tenants interest earned on security deposits, either in annual interest payments or as credit toward payment of rent due. Maximum Security Deposit: Equivalent to one month’s rent for rental agreements less than one year; there is no state limit for rental agreements over one year. Interest: Landlords in New Mexico must pay annual interest on security deposits that are larger than one month’s rent on a year’s lease. Maximum Security Deposit: No state law. Check with your local city and county laws for maximum security deposit amounts, especially regarding rent controlled or rent stabilized units. Number of Days to Return the Remaining Deposit Funds and/or Accounting Paperwork: Within in a reasonable time frame after the tenant has vacated the property. “Reasonable” is determined by a small claims court if necessary, but typically means a window of 21-45 days. Interest: Landlords of nonregulated units in buildings with six or more units must pay tenants interest on the security deposit. The interest can be subtracted from the rent, paid at the end of each year, or paid at the end of the tenancy (according to the tenant’s choice). Maximum Security Deposit: Equivalent to one and one-half months’ rent on a month-to-month lease and equivalent to two months’ rent for a lease term longer than two months. North Carolina landlords can require an additional “reasonable”, nonrefundable pet deposit. Maximum Security Deposit: Equivalent to one’s month rent. If a tenant has a pet, the deposit should not exceed $2,500 or the equivalent of two months’ rent, whichever is greater. Interest: North Dakota must pay the tenants interest on the deposit if tenancy is longer than 9 months. Interest must be paid to the tenant at the end of the lease. Interest: landlords in Ohio must pay interest on most security deposits at the rate of 5% per year, if the tenancy is longer than 6-months. Maximum Security Deposit: Equivalent to two months’ rent during the first year of tenancy, and equivalent to one month’s rent after the first year. Interest: Tenants who occupy a rental unit for two or more years are entitled to interest paid on the security deposit beginning on the 25th month of occupancy. Maximum Security Deposit: Equivalent to one month’s rent. Maximum Security Deposit: Equivalent to one month’s rent. South Dakota allows a higher deposit if special conditions pose a danger to the maintenance of the property. Number of Days to Return the Remaining Deposit Funds and/or Accounting Paperwork: 2 weeks. If the landlord takes out any deductions from the deposit, the tenant may request accounting paperwork that must be provided within 45 days. Exceptions: The rule does not apply in counties that have a population of less than 75,000, according to the 2010 federal census or any subsequent federal census. Interest: Landlords in Virginia must pay accrued interest on all security deposits at an annual rate equal to 4% below the Federal Reserve Board discount rate as of January 1 of each year. No interest is payable unless the landlord holds the deposit for over 13 months after the date the rental agreement was signed, and there has been continuous occupancy of the same unit. Exceptions: Security deposit rules do not apply to a lease of a single-family dwelling of a year or more. Number of Days to Return the Remaining Deposit Funds and/or Accounting Paperwork: 45 to 60 days, depending on whether a new tenant moves into the vacated property. Number of Days to Return the Remaining Deposit Funds and/or Accounting Paperwork: 30 days; the landlord may take an additional 30 days to return the deposit if there are deductions due to damages to the property. Note: This guide is for educational purposes only and does not constitute as legal advise. Please speak with an attorney familiar with landlord-tenant law in your state if you require further clarification or need assistance. These laws are current as of March 16, 2017 and may not reflect recent legislation if viewed after this date. NextIs Hardwood Flooring for Rentals a Good Investment?